Zeppelin University (ZU) is the only private institution financed by its own private means founded in 2003. Located in Friedrichsafen on Lake Constance, Germany. Lake Constance is a key location in a three nation triangle consisting of Germany, Switzerland and Austria, one of the most geographical, competitive and dynamic regions in Europe. Zeppelin University defines itself as individualized and interdisciplinary educator of well rounded decision makers and creative innovators in the field of Business, culture and politics. American students can enter Germany with their valid US passport. American Students do not need to have a visa before they come. 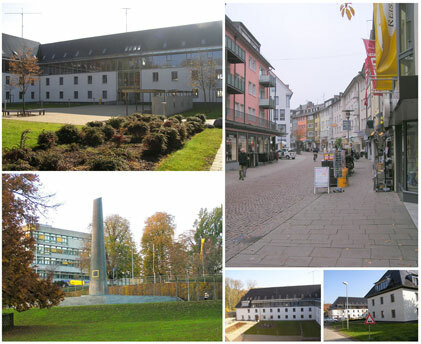 Once students arrive Germany, the International admissions office officials will registered students at the City of Friedrichshafen. The city authorities then prepare a student visa valid for the duration of their studies. This will cost approximately 100 Euros. All students coming from outside Europe have to show some kind of evidence; that they are able to support themselves financially while they in Germany. Students must present a bank statement which has to show a balance of 5,000 Euros (approx. 6,500 US$). International Health Insurance must be obtained in USA prior to departure students must purchase international health insurance. Insurance information: (Inext.com- Telephone: 1-800.40.study). Students must have acceptance letters from Zeppelin university.